Your life deserves a vacation like this! 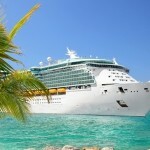 Cruise the Fun Ships to Mexico and the Caribbean! 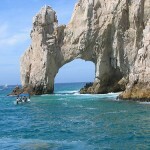 3-8 day cruises, perfect for singles with many U.S. departure ports available. All meals, entertainment and most onboard activities are included. So many shore excursions to choose from with destinations including Baja Mexico, Mexican Riviera, Eastern and Western Caribbean, Alaska, and Hawaii. 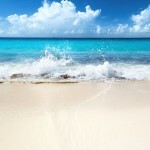 The best value on the sea with cruise itineraries and ships for any budget. Call for latest specials and singles cruise dates. Cruising aboard Carnival Conquest elevates fun at sea to an art form — the ship demonstrates a true mastery of the craft with an onboard collage of fun spots for you to enjoy, like Guy’s Burger Joint, RedFrog Rum Bar and SkyBox Sports Bar.There’s fun everywhere you look, from the dance club (great for people-watching) to the show lounges (great for show-watching). Alchemy Bar serves up not only one-of-a-kind drinks, but a complete experience for your senses. There’s even The Punchliner Comedy Club, which gives stand-up comedians a a microphone and a place to share their craft for your enjoyment. Speaking of microphones, at Lip Sync Battle: Carnival, we’ll give you one to hold… all you’ve got to do is act like you’re singing into it. Bring your stage moves, future star! Spend a week on our newest ship, Norwegian Bliss, as you sail through the islands of the Eastern Caribbean. Depart from sunny Miami to make your way to the U.S. Virgin Islands for vividly colorful snorkeling in St. Thomas. Sip tropical drinks on a pristine beach to the beat of Caribbean music on the British Virgin Island of Tortola. Or go exploring in a 4×4 vehicle when you arrive in Nassau. Whatever you choose, there’s no wrong way to relax and let loose on this vacation. BONUS: Ultimate Beverage Package. With our unique 7-day Hawaii cruise itineraries, you get overnights in both Maui and Kauai as well as visits to Oahu and the Big Island of Hawaii. You’ll be on island time as you discover cascading waterfalls, active volcanos, black, green and white sand beaches, historic sites and unspoiled nature. BONUS: $75 On-board Credit per Cabin Prepaid Gratuities – 1st and 2nd guests only. * Category X excluded from this offer. New Zealand is a country in the southwestern Pacific Ocean consisting of 2 main islands, both marked by volcanoes and glaciation. Capital Wellington, on the North Island, is home to Te Papa Tongarewa, the expansive national museum. Wellington’s dramatic Mt. Victoria, along with the South Island’s Fiordland and Southern Lakes, stood in for mythical Middle Earth in Peter Jackson’s “Lord of the Rings” films. Celebrity Equinox captures the very essence of premium cruising. And after some extensive upgrades, that’s more true than ever before. With new amenities not available on any other Celebrity ship, prepare to have your expectations exceeded as soon as you step on board. Delight in your choice of ten exceptional dining venues. Enjoy craft beer and comfort food in the new Gastrobar and sip refreshing frozen cocktails on the pool deck at Slush. A unique experience at sea, feel grass beneath your feet at the relaxing Lawn Club. Carnival Ecstasy has the experience under her belt to ensure that you have an amazing cruise. (And at over 850 feet long, that would be some belt!) That’s not all she has, either. For starters, the bright lights of the grand atrium will remind you of the big city… and that you’re not on just any ship. Sit back and chill at the Serenity Adult-Only Retreat and spa, enjoy drinks at Red Frog Rum Bar, Blue Iguana Tequila Bar or Alchemy Bar. For entertainment, there’s Punchliner Comedy Club, or Playlist Productions for anyone who appreciates a great show. There’s no need for a wand or cape, the magic comes naturally on the Carnival Magic. This super ship was the first ship to feature a ropes course at sea. The ropes course is a focal point of the Sports Square where you and your friends can play miniature golf, table tennis or foosball. You could spend an entire day in the SportsSquare or the Carnival Water Works water park, just don’t miss out on the relaxing Cloud 9 Spa where a rejuvenating facial is calling your name. Then head to Cucina del Capitano for a family-style Italian dinner. Undoubtedly the Caribbean has always represented one of the most beautiful and fascinating destinations in the world, a dream for every tourist looking to relax in magnificent settings, long stretches of white sandy beaches, palm trees, exotic fruit, the coral reef, bustling with multi-colored tropical fish and a turquoise color sea. During a Caribbean cruise, it is difficult, if not impossible, not to be stunned by the magnificent spectacle offered by these destinations. Bonus: Group rates include Drinks on Us package. Explore the Greek Isles as well as Croatia and Montenegro on this amazing 10-day cruise. Savor the majestic beauty of Venice as you glide along its canals and under its bridges, opulent palazzi and elegant churches lining the route. While in Santorini, visit the beautiful whitewashed hilltop towns of Oia and Fira and their breathtaking views of the caldera below. And climb up the magnificent Acropolis in Athens and stand in awe of the Parthenon, the beautiful temples and the view over the ancient city stretched out before you.. In only eight years since it launched, Allure of the Seas® has managed to impress everyone, with awards ranging from onboard entertainment to family-friendly activities. One thing’s for sure – there’s never been a showstopper quite like Allure. The new Symphony of the Seas is here — a perception remixing, memory maxing mic drop. It’s all the greatest hits, including the ten-story test of courage, Ultimate Abyss and twin FlowRider® surf simulators. Plus revolutionary new firsts, like glow-in-the-dark laser tag, the gameday game changing Playmakers Sports Bar & Arcade, and the Ultimate Family Suite. This is the new sound of adventure, sailing from Miami this November. Shout “Bravo!” for our most innovative and modern ship ever — Norwegian Encore. Packed with one amazing experience right after the other, Norwegian Encore will launch fall 2019 with unforgettable vacations in The Caribbean from her homeport in Miami. You’ll marvel at the panoramic sea views from the two-story Horizon Lounge, offered exclusively for guests of The Haven, and the Observation Lounge, including a full-service bar, live music and spectacular views spanning two decks. Nestled between a pair of glorious bays lies Eden, the first stop on your 12-day escapade. Formerly a whaling hub, Eden is a paradise, especially to anyone with an interest in the life aquatic. From the Sapphire Coast Marine Discovery Centre to its scenic coastline, there’s plenty to see. Then hop over to Dunedin and its plethora of geological wonders. After stops in Akaroa, Picton, Wellington, and Gisborne, bounce over to the Bay of Islands. The landscapes and rock formations are as stunning as you’ll ever see…. Prices are per person, double occupancy for cruise only, includes all taxes and fees. Airfares are additional, and roommate pairing is available. Prices and availability are subject to change. If you already have been quoted a price, please let us know. One of our Travel Specialists will contact you within 24 Hrs with a price quote. We appreciate this opportunity to be a part of your vacation planning. We do not charge any service fees to our valued clients. Special rates for solo travelers at Club Med Turkoise! Free room upgrades at Breezes, Hedonism, and Grand Lido Resorts! Free Spa Credits at Grand Lido Jamaica! 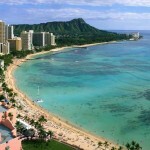 4th and 5th Night free promotions at many Oahu and Maui hotels!